Several months ago, I was setting up ahead of a sound healing event at Soho House when a trio of cool kids traipsed in. One of the girls picked up the leaflet that I’d carefully placed on each chair in the room and scoffed a little too loudly, “a deep tissue massage with no one touching you?”, followed by an eye roll. Right, I thought. We’ve a sceptic in the house. Not so many years ago, I was a sceptic too. I decided to open the session that day by describing how the molecular structure of water, when studied under a microscope, appears to be random, fragmented and irregular in its form. However, when the sound waves of healing bowls are played nearby, the molecular structure falls into perfectly symmetrical patterns. Why? Because certain sound frequencies shift matter, returning it to its optimum vibrational state. Since humans are made up of 65% water, even the most sceptical amongst us will feel physically different (usually calmer and more centred) following a session. It’s not woo woo, it’s science. The young woman at Soho House (who had scoffed at my leaflet) floated, wide-eyed, towards me at the session’s close just an hour later. She told me it had felt like a massage with no one touching her after all. During the session, she had experienced a deep sense of release and was now feeling lighter, clearer and more at peace. Yup: science. Sound therapy isn’t new; it’s just taken a while for the West to catch on. It’s been used in Tibetan, Chinese and Indian cultures for healing purposes since ancient times, dating as far back as 480 B.C. Sound has always been considered one of the most regenerative forces, its vibrations used to re-balance us, reduce stress and break down emotional blockages. Everything in the universe is in a constant state of vibration. Everything that moves vibrates, and as long as it is vibrating, it is making some kind of sound. In her book ‘Healing Power Beyond Medicine‘ Dr. Carol A. Wilson cites a number of scientific studies that show that sound can produce changes in the autonomic, immune, endocrine and neuropeptide systems. Every atom, molecule, cell, gland and organ of the human body absorbs and emits sound – it’s not only heard through our ears, but through the cells in our body. When parts of our being are vibrating out of harmony, sound frequency can be used to clear any blockages, bringing you back into a state of vibrational alignment. This deeply rejuvenating state can encourage the development of greater self-awareness and creativity. I work with healing bowls which are made from 99.992% pure crushed quartz crystal and heated to about 4,000 degrees in a centrifugal mould. The bowls have blends of gemstone, mineral and metals added during the firing process. Quartz crystal bowls played at different vibrational frequencies encourage ‘theta’ brainwaves to replicate a state of deep sleep and meditation, ensuring total relaxation and optimum healing. I like to say that the best way to comprehend the power of a sound healing session is to have one. You can read up on it to your heart’s content but real understanding comes from the visceral, lived experience of immersion in sound vibrations. 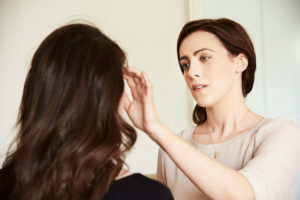 Sound Healing Therapy has been recently listed as a ‘wellness trend’ for 2019 by The Telegraph and Harper’s Bazaar. 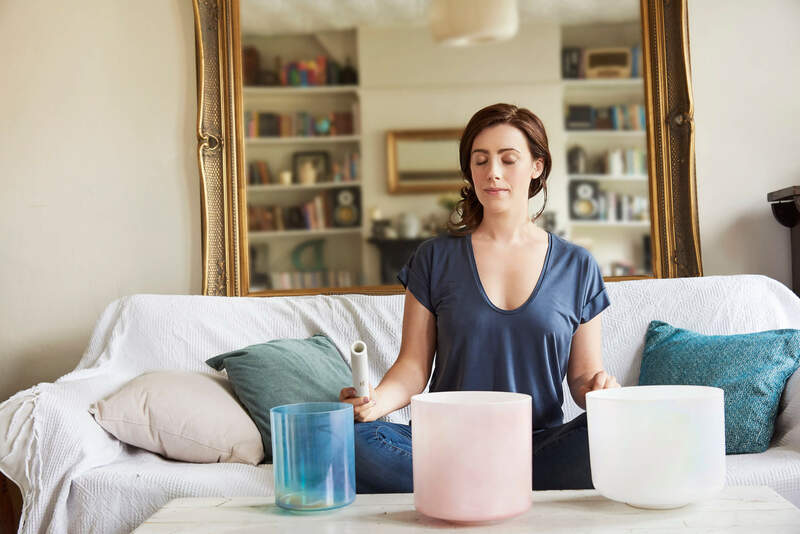 Book yourself in for a sound healing session with Joanne in her wellbeing space, based in London EC1V (*save 20% when by booking before 15th January 2019). Joanne Bradford is a certified healing practitioner and life-consultant, and is also co-author of ‘The Inner Fix’, published by Hodder & Stoughton in 2016. Joanne is founder of Motherheart, dedicated to creating the space for you to clear out emotional blockages and discordant energies, so you can plug into your inner guidance and live a meaningful life that makes a difference to your world.